Definitely like the witch hunter on horseback, and enjoyed seeing the horse and its pieces, thank you. 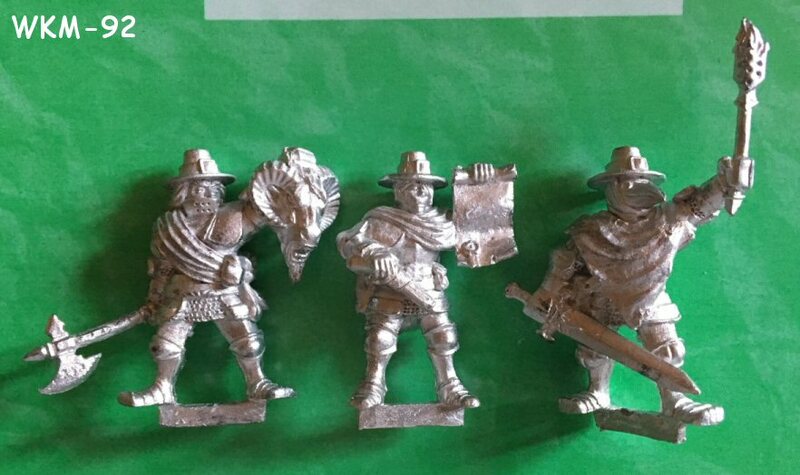 That mounted witchhunter is a beautiful sculpt. Also love to read & understand the solutions in casting. Appreciate when sculptors & casters work around such dilemmas, to create the most effective sculpts. 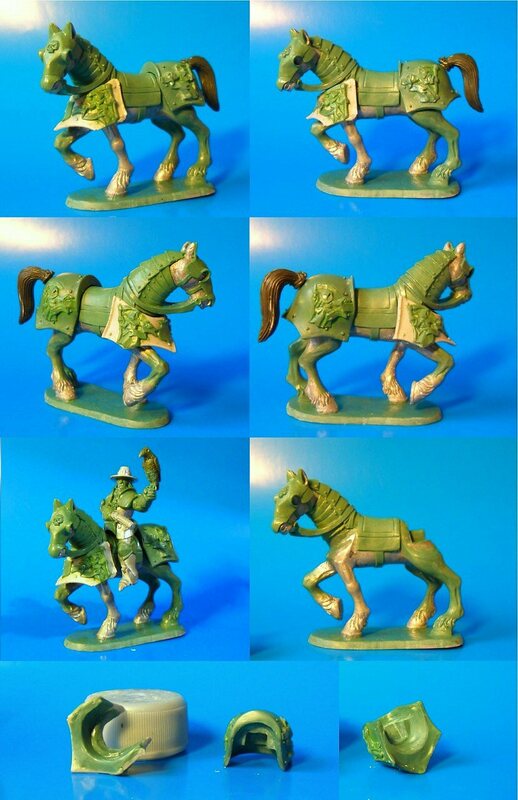 Although at least Lead Adventure (Bruegelburg) have successfully produced excellent single-piece mounted heroes & knights. 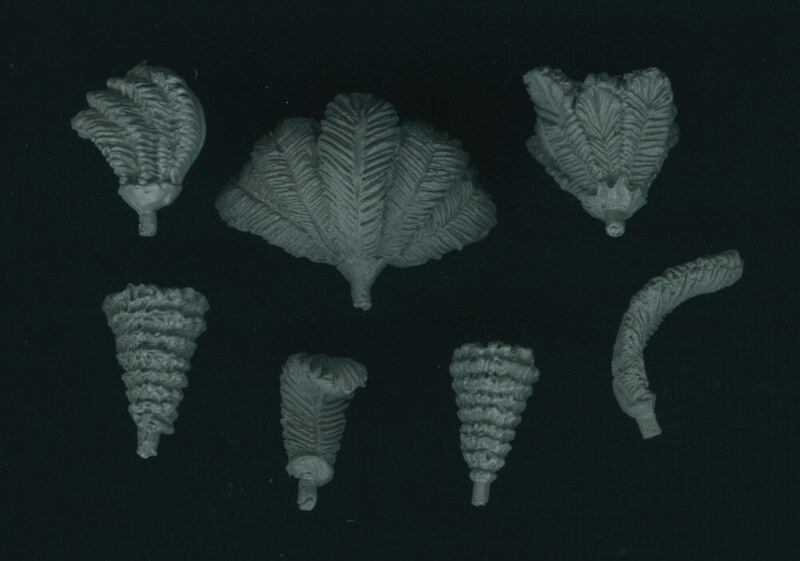 But perhaps they accept some special arrangements in mouldmaking, or the faster wear and tear of such moulds? 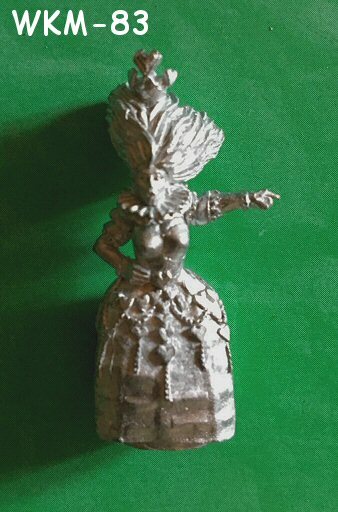 Please plase make some puff n slash , metal Empire Halberdiers, which rank on 20mm square bases, we need you to fill this void !! Got it, we'll get back to you with a shipping quote soon. 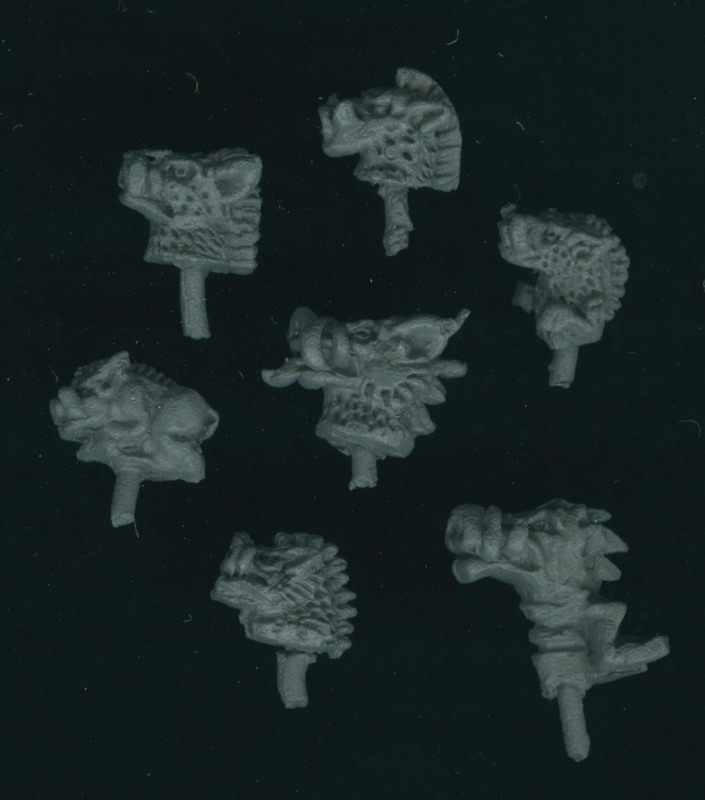 I do have some plans to make some puff and slash halberdiers in breastplates. Making them rank up on a 20mm base will be a challenge for sure. When will these figures be available WK? As a set and/or individually? Would the horse be available separately? Wow, happy to see my "grandson"
Pink is like red but not quite. Oh, he looks amazing! When will he be available for purchase? It wouldn't have been possible without you! They have arrived at the mouldmaker today for mastermoulding. 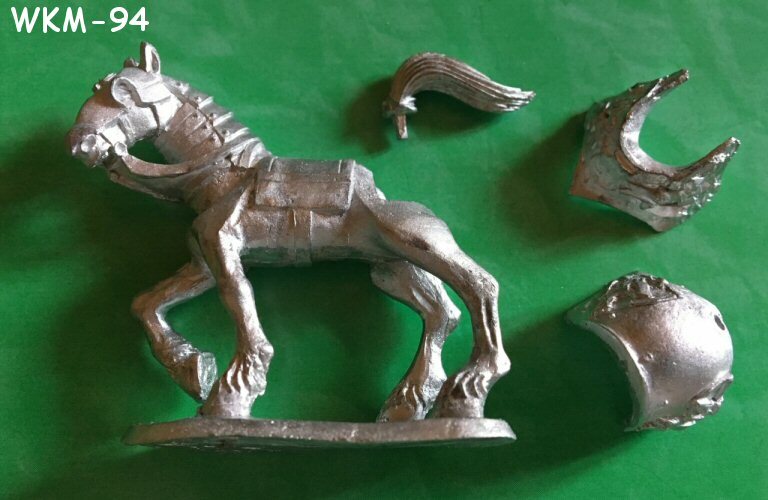 Depending on how fast he can do it, send the mastercastings to me and then for me to check them for damage or flaws, clean them if good and send them back for productionmoulding, we're looking at March at the earliest I would guess. 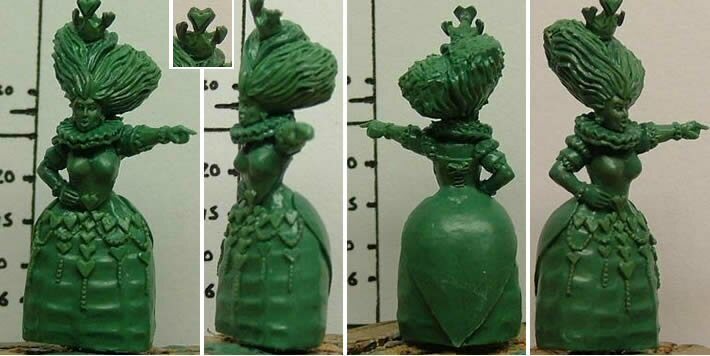 The three foot models would be a set, like the previous 3. The mounted one would be available on his own. As for the horse, I suppose it might be feasable to make that available by itself. That General looks stunning! I love this model. 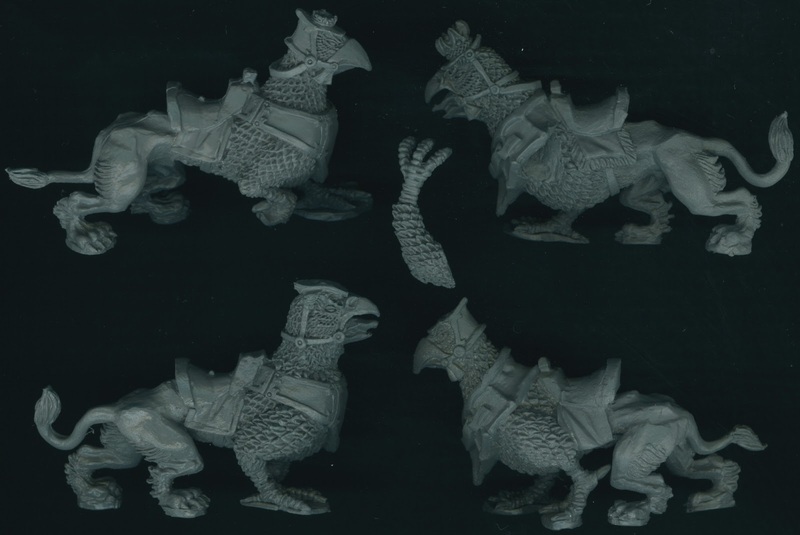 It's been a long time coming, but the Landgriffon mounts for the Dwarf Knights, that I have previewed as greens, have just been released by The Assault Group in their webshop. 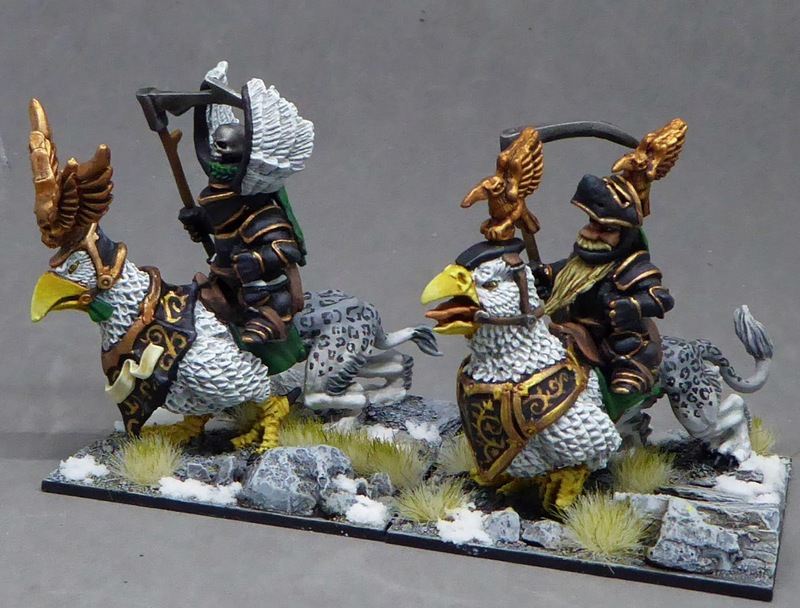 Added to our Dwarf Empire range of white metal miniatures today are the long awaited Land Griffon mounts for our dwarf Knightly Orders. 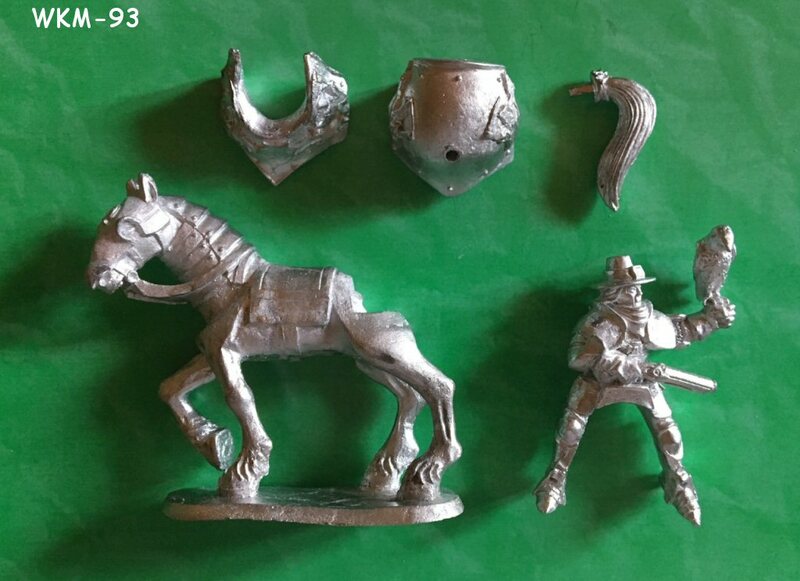 The original Dwarf knights we inherited from the White Knight’s Miniature Imperium are mounted on very small, sweet looking armoured ponies. These Land Griffons are a much more serious mounts. Mixing fearsome bird beaks and claws, with the hind quarters of huge wild cats. 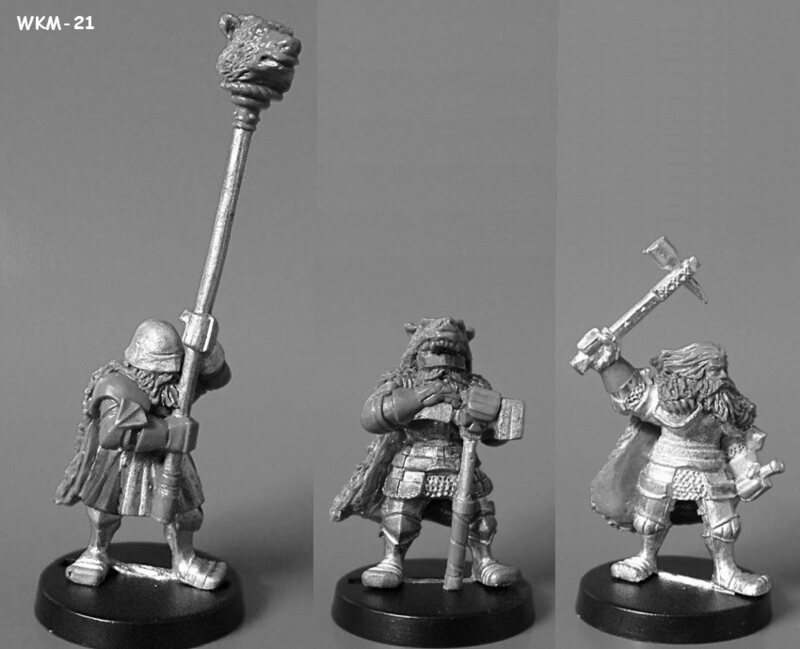 There are four variants of these fabulous beasts to mount our Dwarves on. 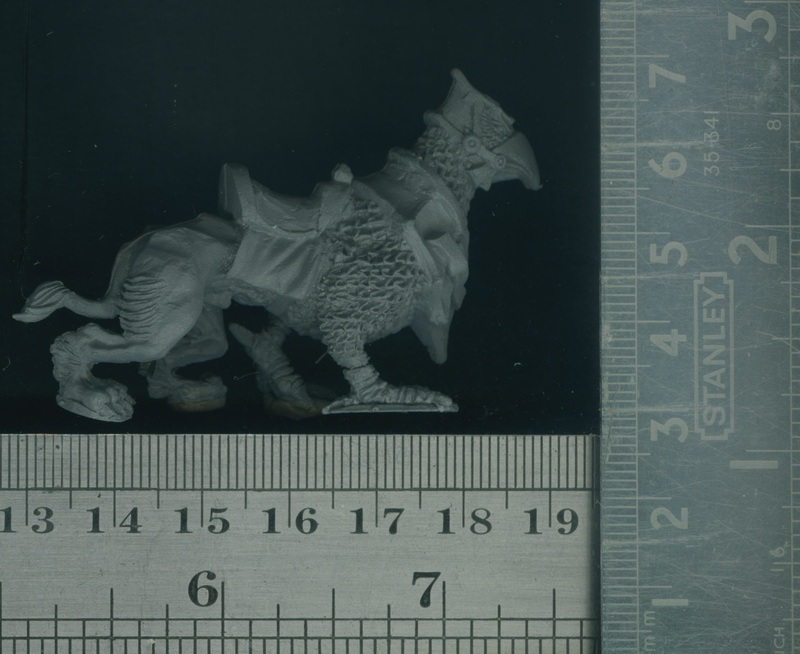 We’ll add them randomly to the 13 codes of minis, making sure that no two similar mounts go together in the packs. 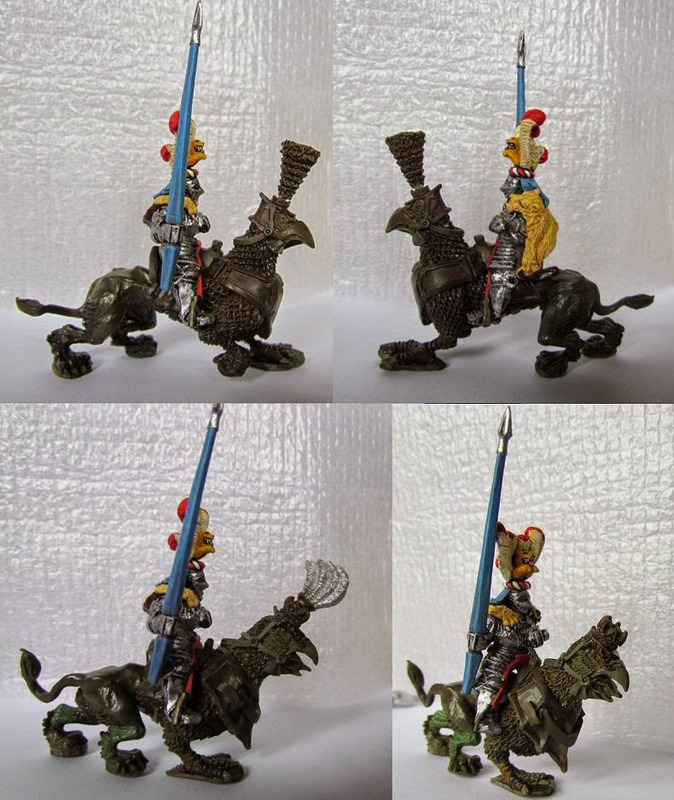 We’ve chosen to paint ours as Leib Knights, on Snowy Owls/Snow leopards, but there are also Imperial knight and Boar knight regalia for the models. The possible combinations of birds (eagles, parrots, ravens) and big cats (lions, tigers, jaguars etc) leads to multiple mouthwatering painting possibilities. 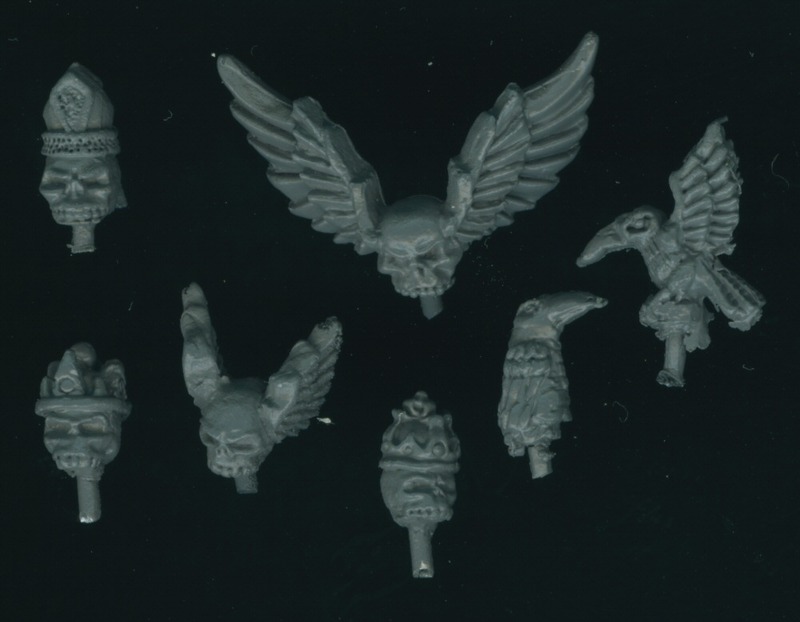 The Knights are taken from our existing Dwarf Empire range. 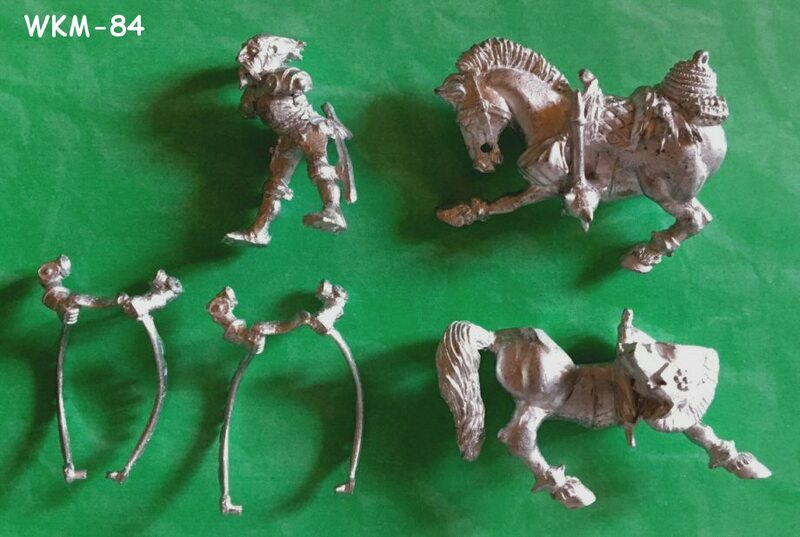 Thirteen different packs of miniatures with two 28mm sized rider models in each pack. …and are armed with two variants of lances for each of the Orders, or scythes or morningstars for Leib and Boars respectively. There are also three Command groups representing the various Orders. There are also five Unit Builders, ten model sets, at discounted prices. Thanks for reading this far down the scroll, here is the payback. We’re quite glad that we don’t have to push all these tricky pack choices through the ‘somewhat clunky’ Kickstarter system as we have done for the last few releases. Hahahahaaha, they're adorable. So cute! Me too. Getting some strong Middenland vibes from them! Well, they are sort of my take on what those could have been if they had been made around the time of the old metal reiksguard on foot. I juste receive the Lord Commander of the Witchhunters from White knight miniatures, and all I can say is that the model is AWESOME! The service is great with a fast shpping and a good communication. 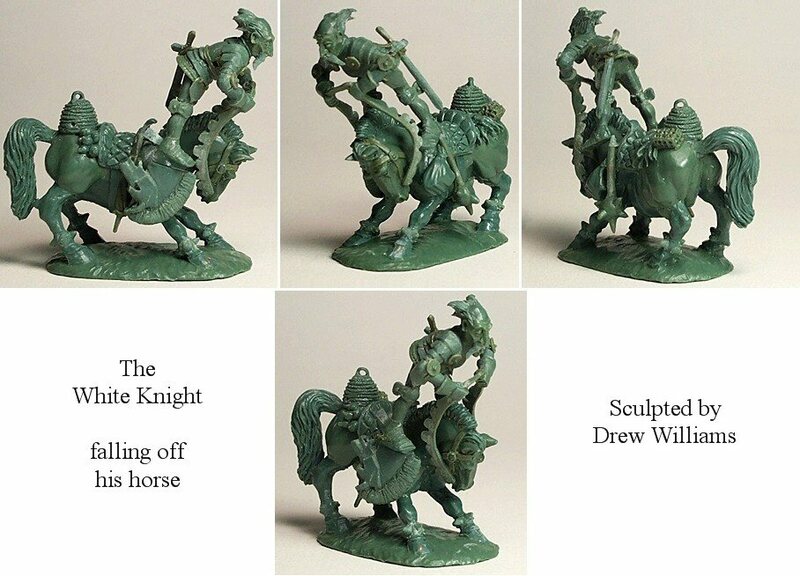 I highly recommend you White knight miniatures for your purchase ; I will come back again for sure. With your permission, I would like to make some "publicity" for you on the 9th age forum, you really deserve it. Thanks a lot for the kind words! And feel free to pimp them!